Buying an expensive watch can be daunting. Between brand, style, price point, and functionality, where to find the watch can easily take a back seat in the decision-making process. And – after all – an Omega is an Omega is an Omega, wherever you buy it, right? Unfortunately, not quite. Without much knowledge on where to buy a watch, a first-time buyer can easily be led astray – type ‘Omega watch’ into Google, for example, and a bevy of grey market sites will appear in the first page of search results, each offering you dozens of Omega watches at seemingly great discounts. The grey market, otherwise known as the parallel market, represents the trade of watches that are probably not stolen and most likely not counterfeit, but are sold through unauthorized channels, without warranties. Unlike other fashionable buys in which a deal is almost always a good idea, purchasing a watch off the grey market comes with some serious downsides. These are mostly hidden from the consumer – often until it’s too late. Read on for the top 5 reasons to avoid grey marketeers when looking for a luxury timepiece. Remember, buying a watch is an investment: do your research, and make sure you’re buying a protected timepiece. That 15-20% you might save on the grey market upfront might very well result in unforeseen repairs or even the cost of a replacement otherwise. 1. You won’t get a comprehensive warranty from the watch brand. Grey market sellers might say on their site that they provide a warranty – but that warranty was created by the marketeers themselves and will only be valid through their own repair centers, which aren’t anywhere near the same caliber as the brand-supported and trained repair centers where an authorized retailer will send your watch. Only authorized watch retailers provide a validated original warranty card and brand certificate with each watch purchased. Sometimes, a grey market seller will include a warranty card in the box – but it won’t be validated by the brand, rendering it completely void. The brand provided warranty will cover repairs for all manufacturing defects, including, in a worst-case scenario, a brand-new watch. When looking for a new watch, make sure that the manufacturer’s validated warranty card will be included with the purchase. One repair outside of warranty can often erase any perceived discount. 2. Your watch will most likely be authentic – but you won’t be sure. The grey market, unlike the black market, doesn’t trade specifically in stolen and counterfeit goods. However, without any oversight from the brands themselves and no third-party authority providing authentication, it is impossible for the average client to know whether or not his or her new purchase is genuine (and worth more than the materials it’s made of.) That’s a risk some experienced buyers are willing to make – but one we’d be very weary of when purchasing our first watch, or a watch for a loved one. 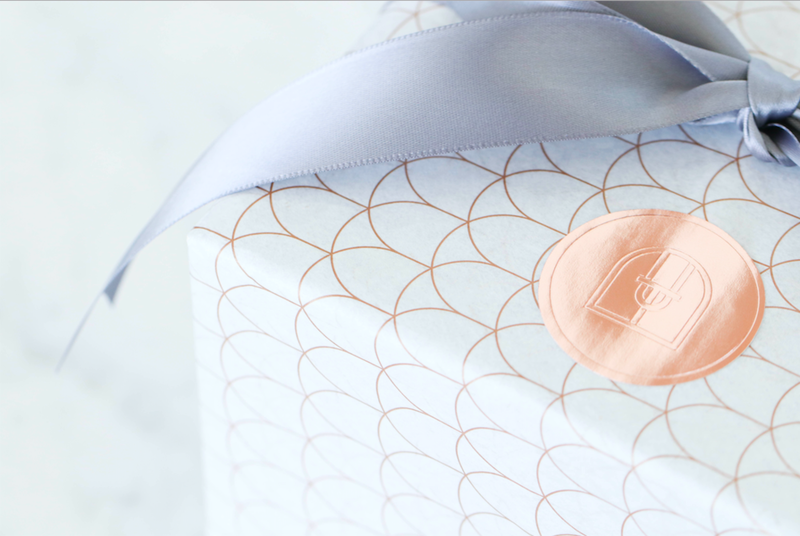 If you’re looking for a gift, try a site like Troverie: a personal shopper can help you find the right model, it will always be brand new, and, the lucky recipient can have it sized in person at a partnering boutique in their area. Sites like Troverie will use the brand’s provided logos – this is a good thing to look out for when trying to avoid grey market businesses as only brand authorized retailers can use these logos. 3. There’s no way to guarantee your watch will be brand new. This is one of the most surprising things about buying a grey market watch online. Your watch could be brand new – but it could also have been sold and worn and then returned to a store, or have been a floor model that sat in a store’s showcase, tried on by dozens of would-be customers, accumulating small scratches, wear to the leather band, and possible internal damage over time. Even a watch that remained in the back room of a retailer for years could have issues – a worn down battery if it’s a quartz watch, or a mechanical movement that was still for months could not tell time accurately if the oil has dried and movement parts need to be lubricated as a result. 4. Watch gifters beware: it could take weeks or even months to get your watch after purchase. 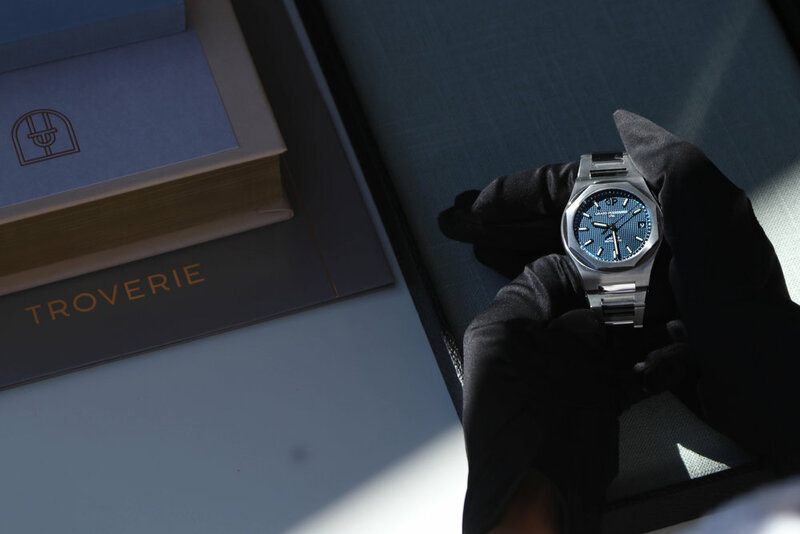 Unlike authorized e-retailers like Troverie, which have on-hand stock of every watch listed and can ship immediately, grey market sites acquire a watch after a hopeful customer has completed the purchase. So, if you have your eye on a specific model for a graduation gift, anniversary gift, or birthday, be weary: it might very well not reach your loved one in time. 5. If the watch has been serviced or if you need it serviced when it arrives damaged, the grey marketeer might use inferior parts to repair it. Grey market sellers often use non-OEM (Original Equipment Manufacturer) parts. For the same reason you take your Audi to an authorized Audi dealership to have your engine serviced to ensure they aren’t using parts made for a Honda Civic, you want to take your watch to a brand-authorized repair center to make sure the incredibly delicate and precise movement is being serviced with the correct parts. The watch world is not always straightforward and transparent, leading first time buyers and more seasoned customers alike to be led astray with misleading information about warranties, watch condition, and more. Luckily, authorized online sites likes Troverie have taken the guesswork out of purchasing a new watch: unlike grey marketeers, all the watches on Troverie are backed by the manufacturer’s warranty, immediately available, and guaranteed to be brand new. If you’re looking to invest in a timepiece for yourself or give a thoughtful gift to a loved one, consider that with watch shopping, one investment piece is better than a few sub-par watches. Ignoring discount sites and instead trusting your purchase with an online retailer backed by the leading brands themselves will prove to be a smart buy for years to come.